Dynamic Host Configuration Protocol, or DHCP, is a vital component in most network infrastructures. Its purpose is to automatically assign IP addresses to client devices connecting to the network. Without DHCP, administrators would have to manually assign IPs to every device on the network – a time-consuming and error-prone exercise. Since the DHCP server is responsible for assigning IP addresses on your network, a failure in this sphere could cause serious problems. When there is a DHCP issue newly connected devices are assigned a default Class B IP address. In this fallback configuration, they cannot communicate with other devices or be reached on the network. A point to note is that similar problems can occur when the address space assigned to the DHCP server is exhausted. 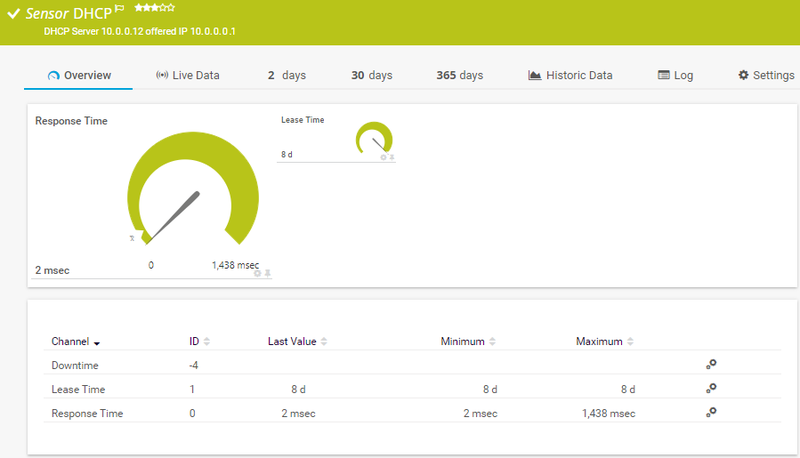 With DHCP monitoring you can always see whether your DHCP server is running as it should. And in case of problems, you will be promptly notified by PRTG so that you can intervene in a timely manner. In most cases, this will enable you to fix the problem before it even becomes noticeable on the network. 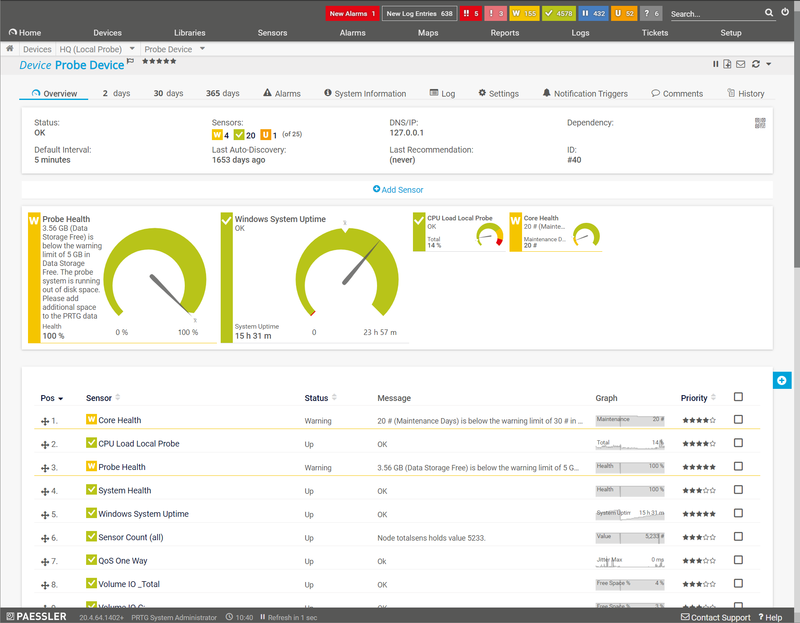 There are three important aspects of DHCP that administrators should be monitoring, and PRTG can help with them all. The second important test is to see if the server is actually allocating addresses. This is where the dedicated PRTG DHCP Sensor comes into play. It will send a broadcast message out to the network, requesting an IP address, and then waits for a DHCP to respond. 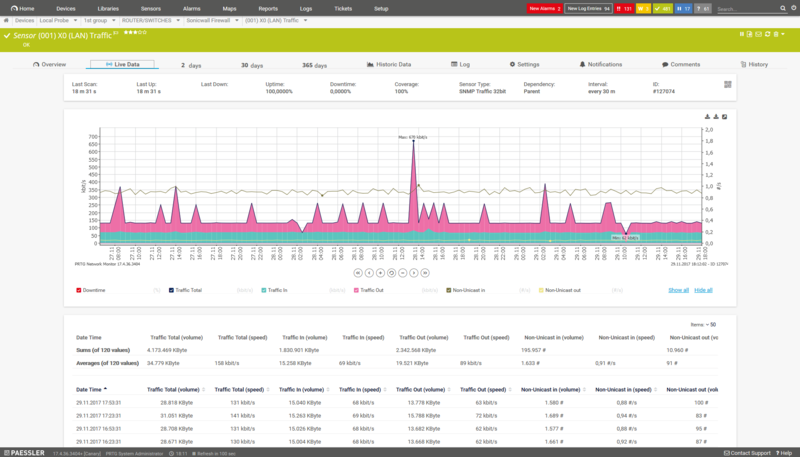 The sensor then reports on how long it takes for the server to respond, the IP of the responding server, the allocated IP address and its lease duration. The final important metric for DHCP Servers is how many addresses are available for allocation to clients. DHCP servers are configured with “pools” of IP addresses, from which the server semi-randomly chooses and allocates to a client when it connects to the network. These addresses have a configurable “lease time” or lifespan, and administrators must take care to balance the length of these leases with the size of the available pool, and the number of anticipated clients. This is where PRTG can help. By using an SNMP Custom Sensor, and the freely available DHCP-MIB file, admins can easily keep track of how many addresses are in their pools, and how many have been allocated. They can also apply thresholds to these values and be notified when the pools are running low.